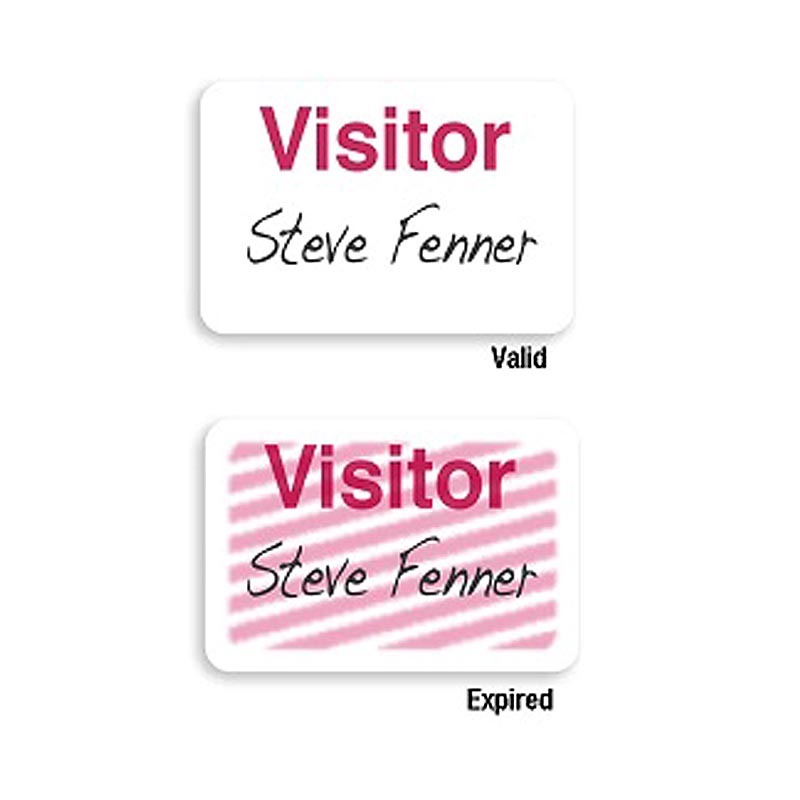 This TEMPbadge™ expiring badge front combines with the appropriate badge back to create a full expiring badge solution. When the two pieces are combined, this badge will show a series of red lines after one day, preventing the badge from being reused. This red lines provide a clear visual indicator that a badge is no longer valid, helping to maintain security at sites of all kinds. 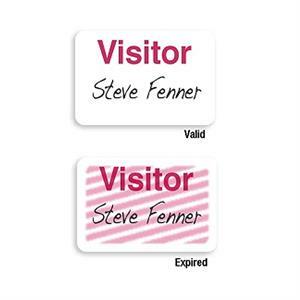 This badge front features a printed "VISITOR" header, allowing a visitor badge program to serve as a role-recognition program. Our badge fronts are part of a flexible solution: the badge fronts can be combined with a number of different backs for use, including backs with color bar headers, backs with printed title headers and plain adhesive backs. Choose the back solution that fits best!